Competition today has seen lean, business-savvy organisations that use digital resources to their advantage as the major competitive differentiators. Take a look at how to achieve better, faster, and agiler work when using Looop for your compliance training. Compliance training has a bad reputation. Although it’s one of the most important training programs for businesses, it’s often deemed boring and irrelevant by employees. As a result, many organisations find themselves unable to motivate employees to complete their compliance training. There are so many ways compliance can help a business to obtain a competitive advantage. A solid compliance training program gives better staff knowledge, which will result in higher performance and less operational risk. That, in turn, leads to more trust from customers or clients, and increased revenue and brand reputation. Using a NextGen learning platform like Looop and adopting an agile approach using digital resources can help your organisation successfully meet compliance requirements without the ‘mess’. 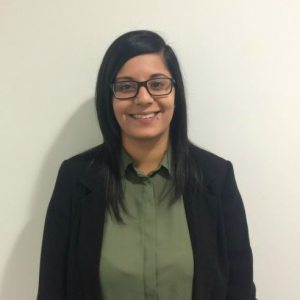 Organisations are failing to meet the expectations and immediate demands that modern learners have, and instead pile staff with pages of generic content. Personal, relevant-to-the-job training materials have the most impact because the information is easier to retain and can be put into practice right away. Looop supports better, faster, agiler work. Take a look at just a few of the ways the platform can help you gain a competitive advantage with your compliance training. 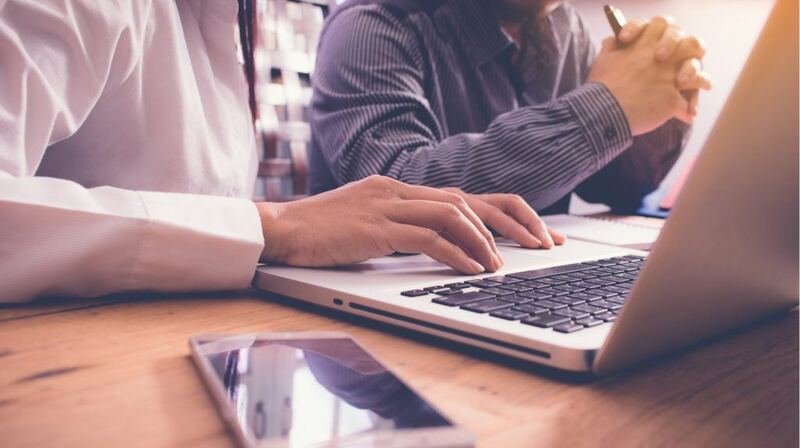 Long classroom sessions, generic heaps of content, and endless tests are what many associate with compliance training, but the development of technology can offer digital solutions that are both engaging for employees and more efficient for employers. More businesses are moving their training online to meet the needs of the modern learner. However, many organisations are failing to do this. They’re still focusing on traditional training, even though recent trends following the development of technology proves these methods are not proving useful. Getting ahead of the competition requires meeting expectations of your employees and really understanding their motivations to learn. Self-directed learning is becoming more prevalent and employees are expecting immediate answers and the know-how. Recognising this need and providing on-demand answers is especially important with compliance training because of the risk associated with staff not keeping up-to-date with the rules and regulations in the organisation. Failing to provide answers when your employees need them and not addressing their actual day-to-day problems and experiences leads to poor engagement and an overall negative attitude towards compliance training, which could lead to many more problems further down the road. Plus, if you’re failing to engage your staff with your training, you’ll find they’re likely to fall behind with their individual goals, business objectives, and overall performance. You need to provide instant knowledge and know-how to make the most impact. Creating digital resources on Looop makes it easier than ever to develop useful content that addresses your staff’s real-time challenges. As your practices and policies change, so can your resources. You can easily keep employees up-to-date and minimise time-delays that occur with waiting for updated handbooks or organising classroom sessions. Let’s start with the basics. Looop is a NextGen learning platform. 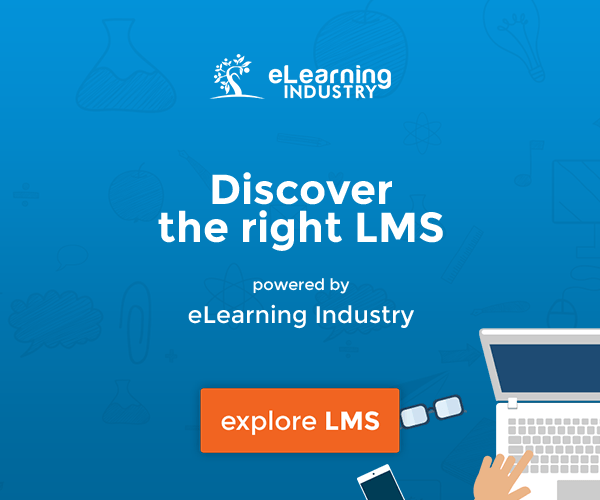 That means you get all of the traditional LMS features, plus so much more. As we mentioned above, businesses need to be able to meet the modern learners' expectations of immediate answers if they are going to make an impact. NextGen learning platforms are built to be user-friendly, experience-focused, and data-driven. Not only do they support your compliance training to be more advanced and user-friendly than traditional methods, but they align your training with the business goals of your organisation, giving you overall better performance and productivity. Driving business performance is one benefit of Looop, gaining a competitive advantage is another. Having an on-demand platform allows businesses to train staff quickly and immediately rectify any performance issues. Being able to quickly deal with changing compliance and regulatory issues is extremely important for a business so it’s important not to overlook the accessibility of your learning platform when creating your training if you want to get ahead of your competitors. Looop is available on-demand and across all devices. We recognise that learning can happen at any time, and is most effective when it happens at the point-of-need. By point-of-need, we mean the moments determined by the employees as they face their work-challenges to which they require additional confidence and competence to perform a specific action (or set of actions). Looop supports a ‘resources-first’ approach, which uses digital resources to tackle employee performance and capability issues. Digital resources can be tailored to specific groups of people and targeted to support them to overcome their real-life challenges. You’ll find your employees are much more likely to retain your compliance training materials and perform better when it’s relevant to them. We recognise the flexible nature of the modern work environment, which is why we allow personalised, responsive learning experiences to evolve. Catering to individual needs is the best way to differentiate yourselves from competitors. Look into what information your employees really need, and what will help them to perform better. Your training should be supporting overall performance, not just getting staff compliant as quickly as possible. Managing compliance training is usually almost as time-consuming as implementing it, however, Looop does the hard work for you. If you want to get ahead of your competitors, your reporting needs to do much more than just provide test scores and engagement rates. Reporting on Looop is actionable. It relates directly to your objectives and gives clarity, not just graphs. You can share your resources immediately and track the results in real-time. Integration is key here. Not only can you easily evaluate the performance and success of your compliance training materials, you can also use these insights across the company to ensure all training areas are meeting business expectations, and how the LMS is helping the organisation meet their business goals overall. The real competitive advantage comes when you start becoming more agile, digital-friendly, and efficient. Using a NextGen platform like Looop, that focuses on performance and productivity, gives businesses the ability to keep up-to-date with the ever-changing digital trends and being able to adapt and improve at the same time. Getting started doesn’t need to take weeks. Simply contact the experts for a free demo and receive a personalised tour of the platform, plus have your very first resource built for you in a matter of minutes. More and more organisations are moving to digital and becoming more innovative. 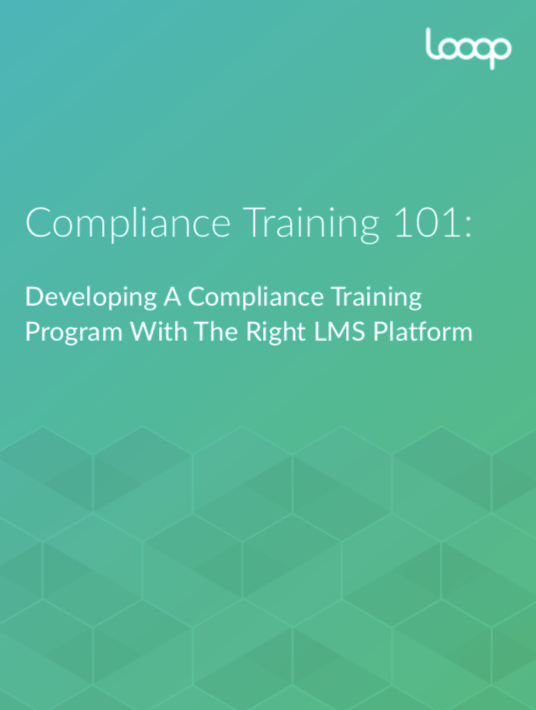 Don’t fall behind by not adopting a new compliance training approach.